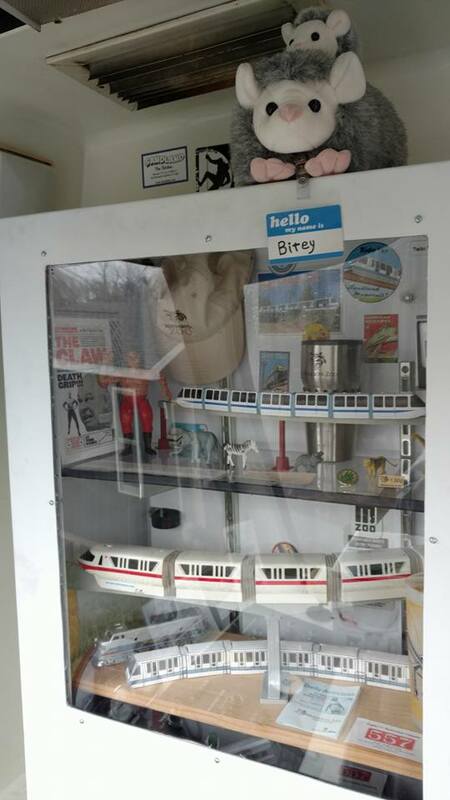 I’ve added some “artifacts” to my miniature monorail museum, located in the head car of the former MN Zoo Monorail that I bought a couple years ago. 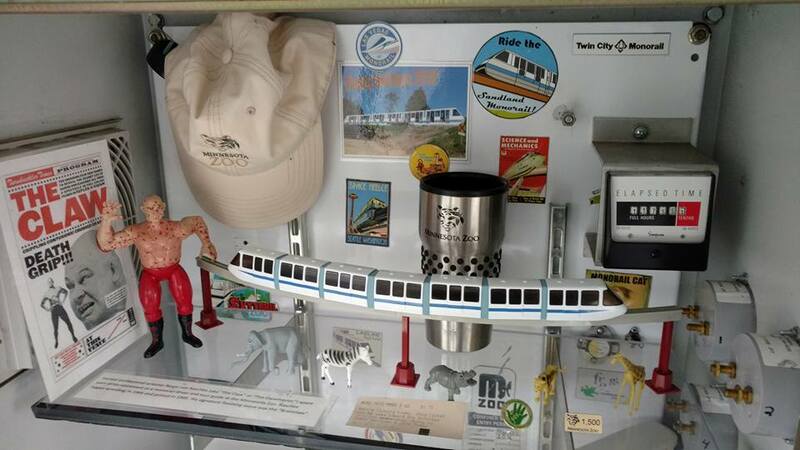 The Baron, as a former monorail driver, has moved up to my upper shelf of MN Zoo-related memorabilia. The lower shelf is more general monorail “stuff”, since people keep giving me monorail toys and whatnot that they come across. 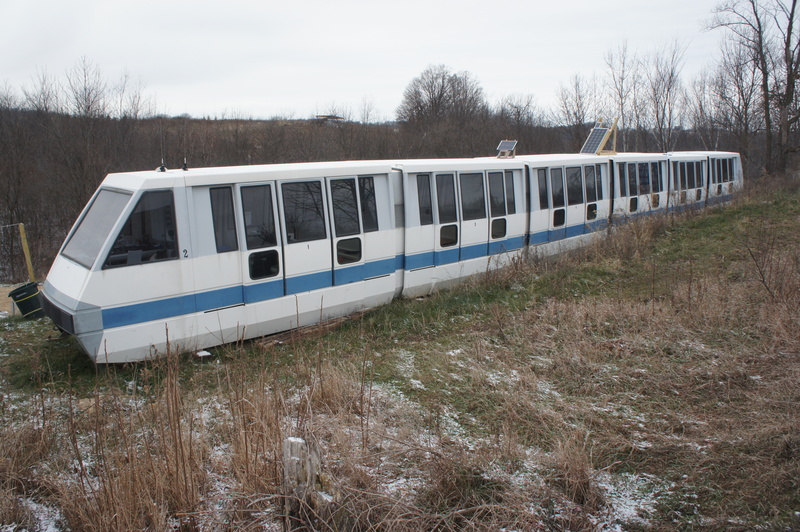 In addition to the obvious Disney monorail, I managed to find an HO scale Von Roll MkIII model that’s pretty darn close to this one! The MkIII was in the same family as the zoo’s UMI Tourister, just a little more developed and streamlined. 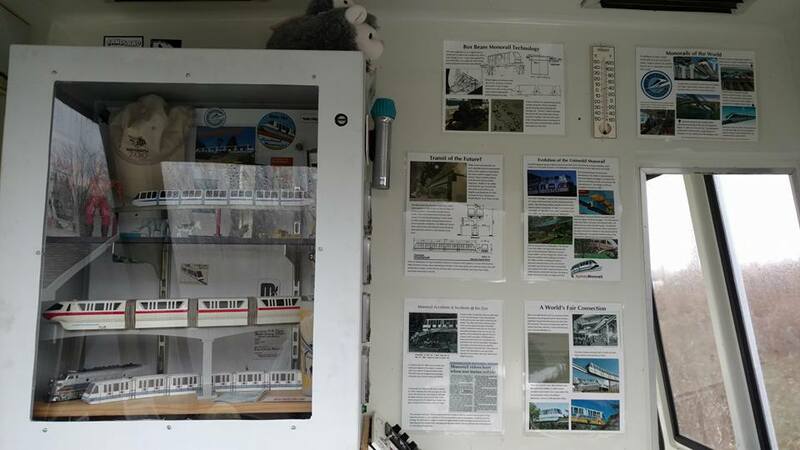 The wall displays document monorail tech, MN zoo history, and other monorail-related tidbits. And outside the monorail I’ve stuck a “historic marker” for random visitors. 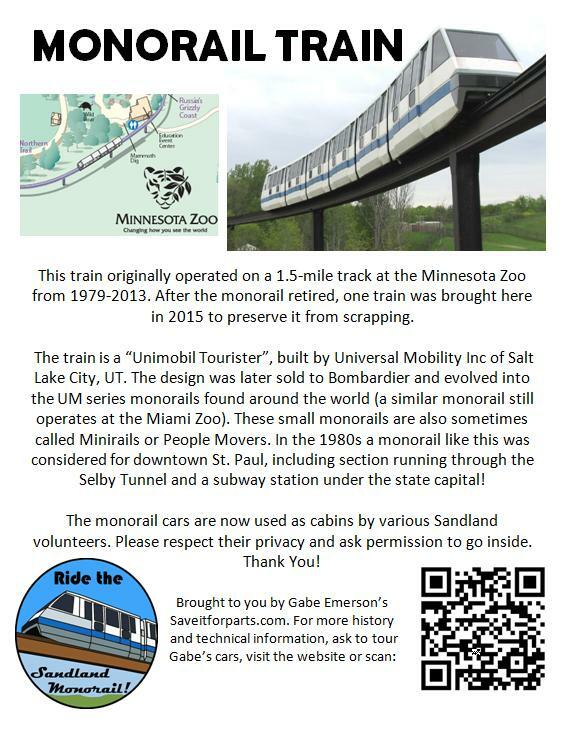 Although the train is on private property and not open to the public, we do get some friends and acquaintances stopping by who are curious about it! This entry was posted on Thursday, May 10th, 2018 at 6:39 pm and is filed under Uncategorized. You can follow any responses to this entry through the RSS 2.0 feed. You can leave a response, or trackback from your own site. Like what u did Gabe…Keep up the good work.